And censure yourself by yourself. 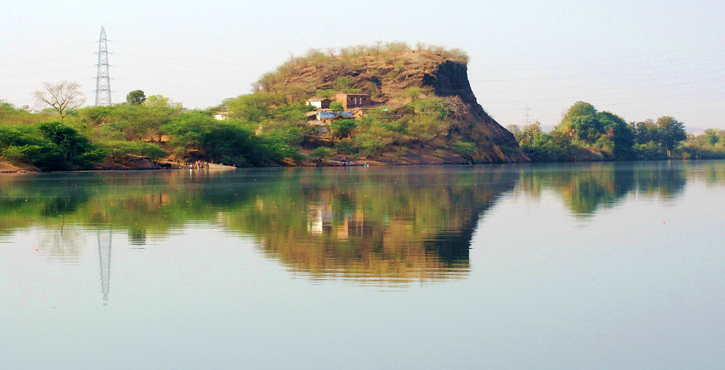 The rock-cut Buddhist monasteries of Hadoti are located on the table- top hillocks in Jhalawar district bordering Madhya Pradesh. 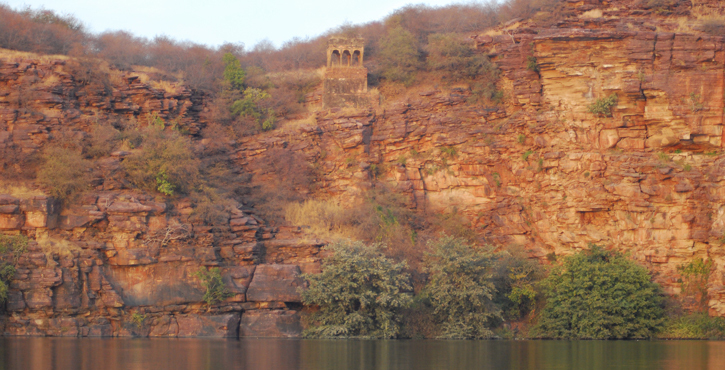 The rock-cut monasteries of Kolvi, Vinayaka, Gunai and Hathyagod in Jhalawar district in south-east Rajasthan may be attributed to the post Ashoka period, when Buddhism enjoyed royal support in this region. 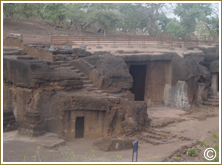 The monastery of Dharmrajeshwar and its monolithic Shiva temple are very much in tune with the Ellora complex of Buddhist monastery and Hindu- Jain temples. 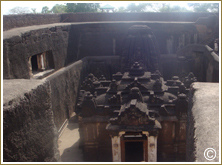 The experts believe that the temple and the monastery are of the same period when the Rashtrakuta kings were commissioning famous monolithic temples of Ellora. 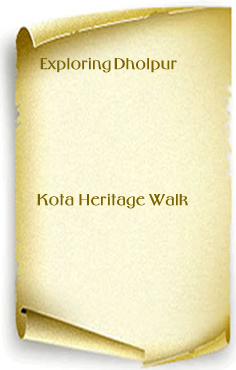 The Buddhist monasteries of Kolvi, Vinayaka, Gunai and Hathyagod have excellent approach roads and may be conveniently reached from Bhawanimandi or Ramganjmandi, which are two important halts on Delhi – Mumbai railway line. Most of the important superfast trains stop at these stations. 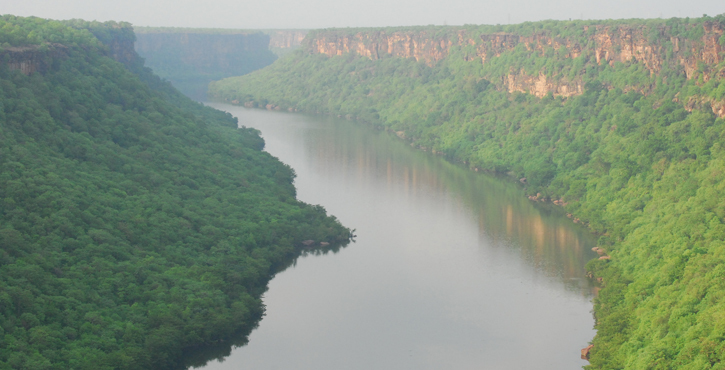 The road links are available from Kota and Jhalawar. 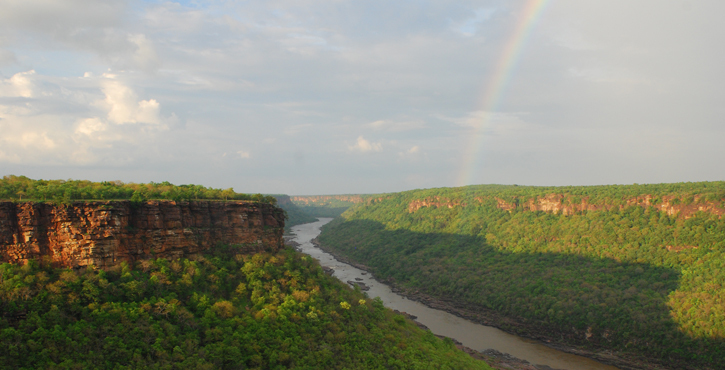 The Dharmrajeshwar monastery is situated at the Chandwasa village, on the border of Rajasthan and Madhya Pradesh. 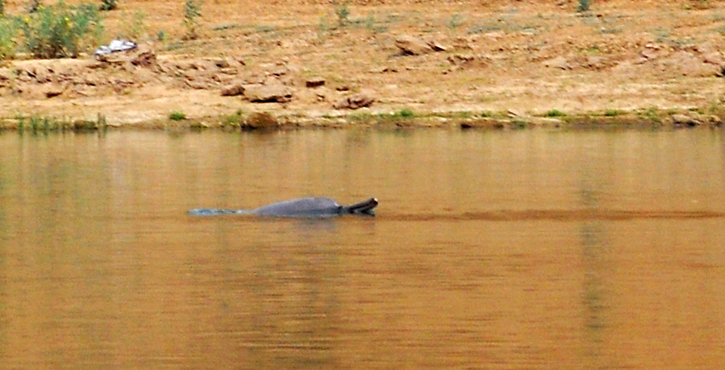 It may be reached by road after alighting at any of the stations; Shamgarh, Bhawanimandi or Ramganjmandi. 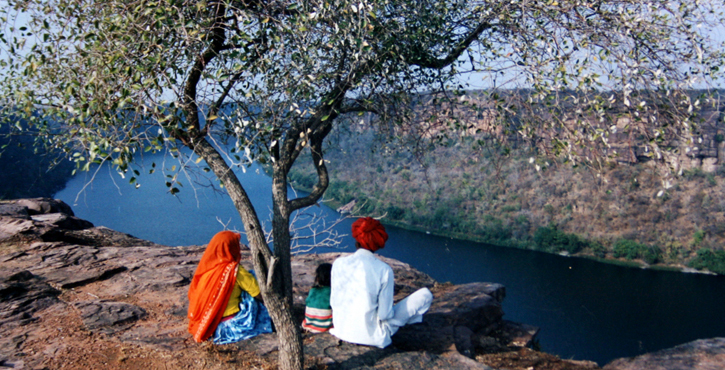 KOLVI – The hillock of Kolvi stands a little detached from the main road and as one turns on the red gravel road leading to the monastery, he finds himself in the auspicious presence of Lord Buddha. The exhilaration of being in a holy place increases with each step, while ascending the stairs to reach the top of the hillock. 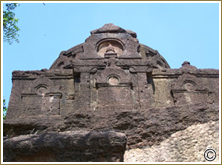 The first bell shaped structure is a temple, well decorated with auspicious symbols in relief. The Buddha idols in sitting as well as standing poses have been placed in the stupa shaped temples, some large and some small. 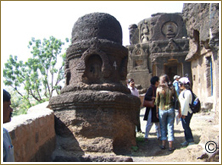 The bell shaped stupas with Buddha idols in different poses, engraved in relief , are scattered all over the monastery. 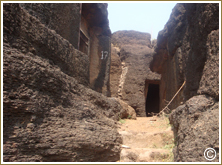 One may find the ruins of over 64 living quarters for the monks, conference and meditation halls, but presently 45 rock-cut structures are safe after the ravages of time. 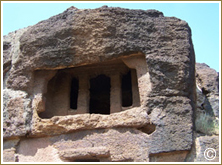 There are even double storeyed living quarters, carved in the hillock, which are marvels of rock-cut architecture. Some of the meditation halls have floor to ceiling stupas in the center to facilitate circumambulation, which is a ritual oft repeated by the devotees to pay their obeisance to the Lord. 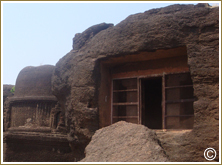 The hand carved windows, Jharokhas, and the rock beds provide few comforts to the monks, who are otherwise tuned to live a very austere life. 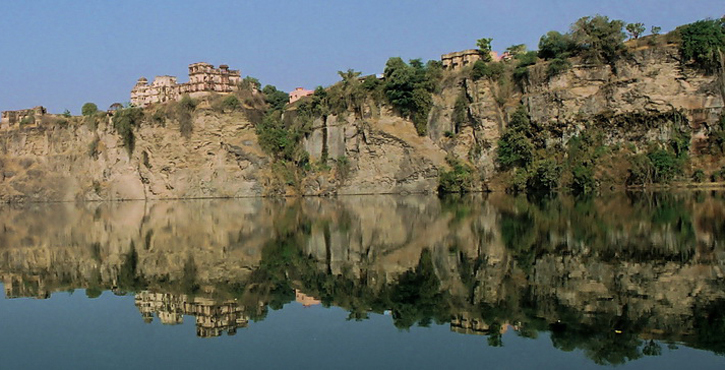 VINAYAKA – The monastery of Vinayaka is located on a 50 M. high hillock near a village of the same name. An unpaved path originating from the main road leads to the hillock. 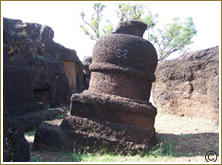 The monasteries of Kolvi Vinayaka and Hathyagod form a triangle and stand at a distance of about 6-8 Km. from each other. 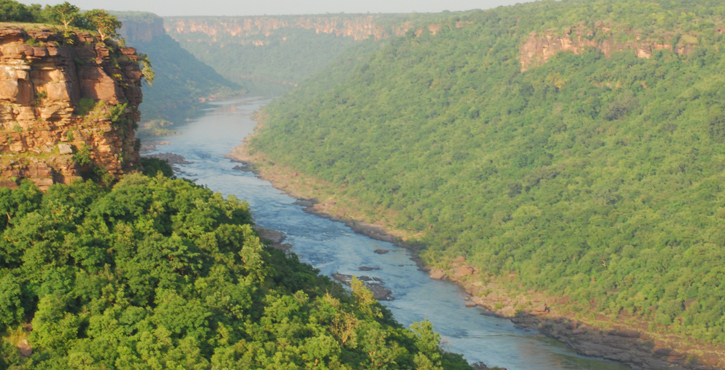 A stream named Goriakhal lies like a tranquil snake below the monastery, adding to the natural beauty of this sacred place. 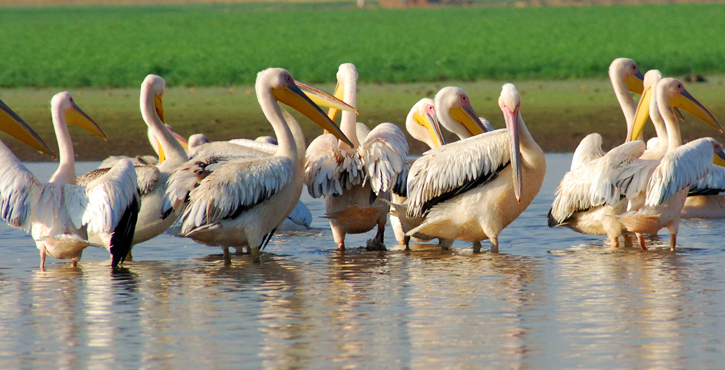 It also supports a variety of birds and animals, some of them very rare. 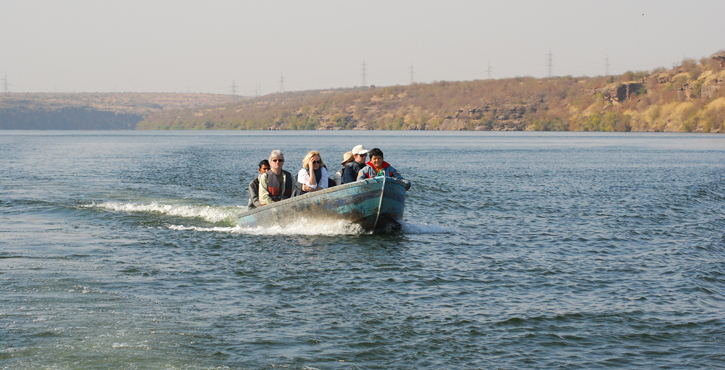 DHARMRAJESHWAR - The back- water of Gandhisagar dam washes the backyards of the village Chandwasa. The call of a Peafowl echoes through the hills and the rays of the rising sun are reflected in the dew drops settled on the grass blades. 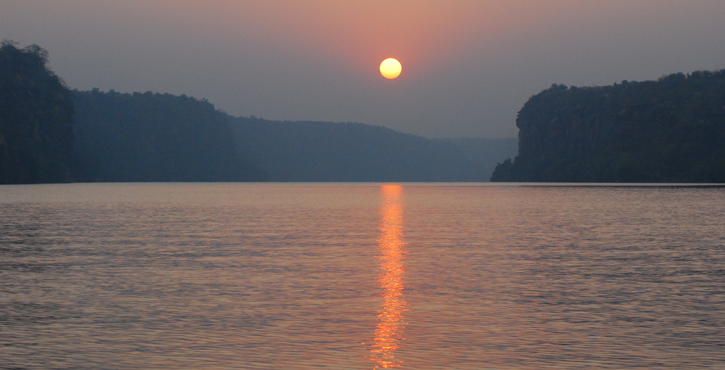 It is God's own country. 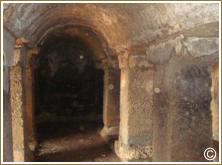 Tread on it with cautious steps and pure spirit as a treasure trove of our heritage lies hidden from the inquisitive eyes. 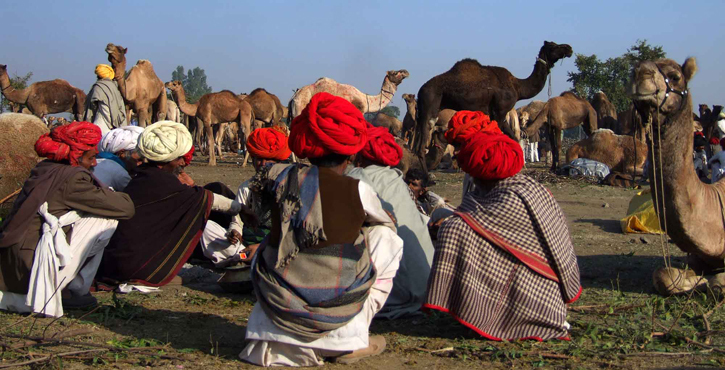 The camel- back hills are scattered over the undulating grassland like shells on a beach. The fields of maize and soyabean extend to the limit of the vision. 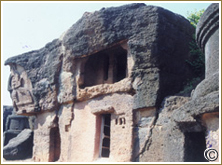 The historians believe that the rock-cut monastery and the brahmanical Dharmrajeshwar temple belong to 7th-9th century AD. 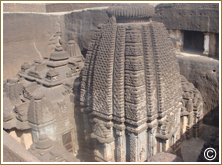 It is approximately the same time when the Rashtrakutas commissioned the monolithic temples at Ellora. The architectural similarity is fascinating. The southern and western rock-face has a well planned monastery with more than 70 living quarters, pavilions, meditation halls, stupas and images of Lord Buddha and his disciples. In a large prayer hall a floor to roof stupa stands in the center of the hall with enough space on all sides for circumambulation. 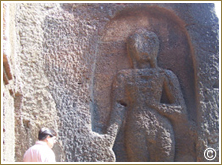 A large relief image of Lord Buddha stands at the entrance of a pavilion. Lord is bestowing blessings on the humanity. Nearby an image of Kuber, the god of wealth and equally important in brahmanical and Buddhist iconography stands guard to the inner quarters. 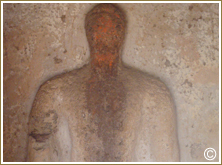 In a passage carved within the hillock, we see a chiseled image of Lord Buddha in reclining pose ( Nirvan Buddha) with his disciples standing and watching the Lord attaining Nirvan. A sacred medallion with a relief image of a stupa adorns all the gates and doors of the monastery. 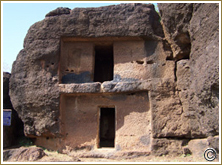 Small rock- cut stupas are scattered all over the place. The rain water harvesting and collecting system for the monastery is a marvel of engineering. 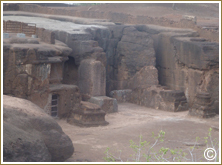 A 60 M. long passage has been carved in the eastern face of the hillock leading to the monolithic temple of Dharmrajeshwar . In a courtyard measuring 15 M. X 50 M., the temple of Lord Shiva and five smaller temples in Panchayatan style stand as a mute testimony to the architectural excellence of that time. A pair of stair cases lead to the balconies and hill top. The main entrance to the temple has the images of Bhairav and Mother Goddess, who are the protectors of the temple. An image of Lord Ganesha has been placed at the entrance as an auspicious omen. 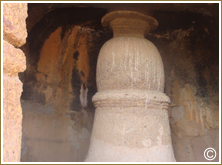 A decorated pillared Sabhamandap has a ceiling in the shape of an inverted lotus flower. In the sanctum sanctorum a Shiva ling has been placed in the center of a cosmic receptacle. A 2 M. high four- armed idol of Lord Vishnu stands on a platform at the back. This could be an addition on a later date. The finely carved image of the Lord bears a conch shell, a mace, a wheel and a lotus in his four hands and nine incarnations of the Lord find a place on the top. A 10 M. high beautifully chiseled spire with vaulted spaces for various figurines and decorations has a Kalash at the top.